RVSP is short for right ventricular systolic pressure. 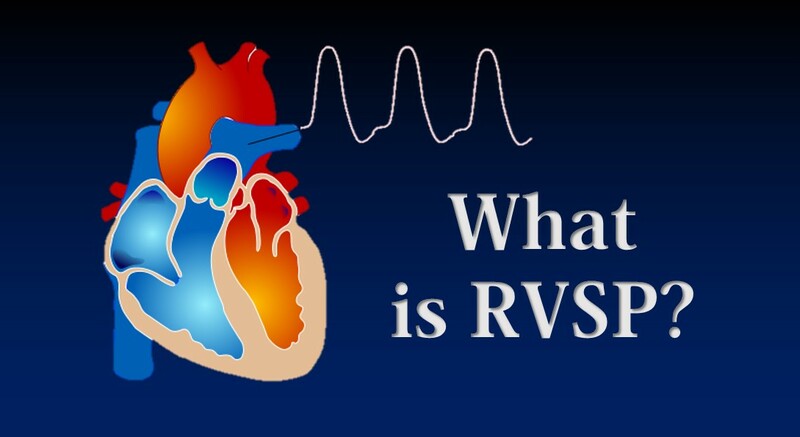 RVSP is a commonly searched term because it is found on almost all echocardiogram reports. It is important as the RVSP is used to estimate the pressure inside the artery that supplies the lung with blood. In most cases, the RVSP equals the pulmonary artery pressure. Elevated pressures in the pulmonary artery is known as pulmonary artery hypertension, a condition that may require close attention and treatment. The gold standard way for obtaining the right ventricular systolic pressure (RVSP) and the pulmonary artery pressure is an invasive test called a heart catheterization. 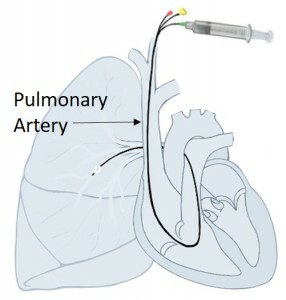 In a heart catheterization small tubes are passed into the heart chambers and measurements taken. Echocardiography can be used to estimate the RVSP and importantly provides a non-invasive way of doing so. Echocardiography is therefore an excellent way of identifying people with elevated RVSP and pulmonary hypertension and therefore selecting those candidates that may benefit from treatment and sometimes confirmation of the diagnosis with heart catheterization. Tricuspid regurgitation (TR) on echocardiogram. RV is right ventrical and RA is right atrium. RVSP basically is the pressure generated by the right side of the heart when it pumps. The right side of the heart has to pump into the lungs through a vessel called the pulmonary artery. The higher the pressure in the pulmonary artery, the higher the pressure the right heart has to generate, which basically means the higher the RVSP. When the right side of the heart pumps, most people have a little leak back through the right sided heart valve known as the tricuspid valve. The pressure generated by the right side is reflected in measurements of this leak. The leak is known as tricuspid regurgitation and the measurement that is important is the tricuspid regurgitation (TR) velocity. The velocity across the tricuspid valve is proportional to the RVSP. 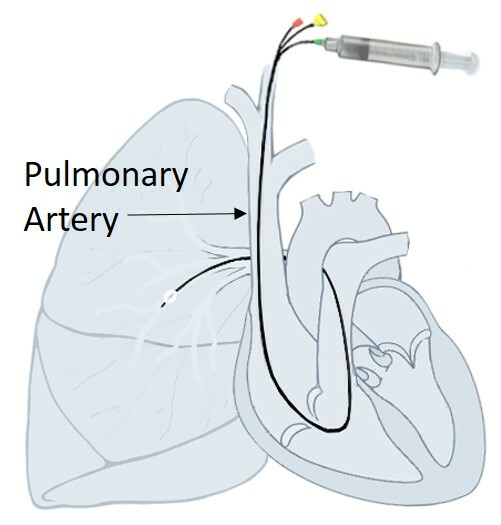 This measurement is placed into a formula and an estimate of the RVSP is obtained, which also reflects the pulmonary artery pressure. The formula also requires a measurement of the right atrial pressure, which is estimated by looking at the size of the inferior vena cava on the echocardiogram. How to Interpret Your Right Ventricular Systolic Pressure (RVSP) from the echo? The RVSP is important because it allows estimation of the pulmonary artery pressure. Therefore on the echo report the more important measurement is the estimated pulmonary artery pressure. The number given estimates the pressure in units of mmHg (millimeters of mercury). Pulmonary hypertension is typically assessed based on a mean value that is generally an average of its highest and lowest points. A normal mean pulmonary artery pressure is 12-16. Mild pulmonary hypertension is generally in the 25-40 range, moderate is in the 41-55 range, and severe is the >55 range. Remember though that the right ventricular systolic pressure estimate on the echocardiogram gives a peak and not a mean pressure. This means that it gives a highest value rather than an average. In general however, an estimated pulmonary artery pressure greater than 40 from the echocardiogram suggests a mean pulmonary artery pressure > 25 and therefore pulmonary hypertension. It’s very important to remember that echocardiography is not an exact science and there are many limitations to measurements obtained. Also multiple numbers such as RVSP are being put in to formulas, so any errors will be greater multiplied. For this reason, conclusions from echocardiography should be limited to classifying patients as having a certain probability of having pulmonary hypertension rather than making a certain diagnosis. Also, it’s important that the RVSP value isn’t taken in isolation when suggesting a diagnosis of pulmonary hypertension, rather multiple supporting echocardiographic findings should be taken together. What Are Some Causes of Elevated Right Ventricular Systolic Pressure (RVSP)? This is split in to primary and secondary causes. Primary pulmonary hypertension is less common than secondary. In primary pulmonary hypertension an underlying cause if often not found for the high pressures in the lungs. In secondary pulmonary hypertension the high pressures are attributed to other causes. The most common cause is left sided heart failure such as that seen with valvular heart disease like mitral regurgitation or aortic stenosis or congestive heart failure. Other causes include chronic conditions such as sleep apnea, blood clots in the lungs, lungs disease, lupus, living at altitude, and others. In secondary pulmonary hypertension treatment is typically aimed at the underlying cause. For example in a patient with valve disease and pulmonary hypertension, the most important thing would be to treat the valve such as a TAVR procedure or a Mitraclip. If your echo report says you have elevated RVSP or evidence to suggest pulmonary hypertension, the following questions may be useful to ask. Has the study been reviewed to see if the measurements of right ventricular systolic pressure (RVSP) or pulmonary hypertension were accurate and not just artifact or error? If the study is suggestive of elevated RVSP and pulmonary hypertension, what is the next step and are any other confirmatory tests required? If the study is suggestive of elevated RVSP and pulmonary hypertension what is the likely cause and what treatment options are available? How does the RVSP value obtained on the echocardiogram compare to that found on any previous echocardiograms? Pl also mention the signs of positive &negative response to the patient undergoing treatment of paht. I have bowel cancer, have been told that cannot operate as have right ventrical high pressure following pulmonary embolism. They are unable to give any anaesthetic. Its not that operations can’t be done, rather its the risk involved. If you have a phenomenon known as CTEPH from chronic large clots then your right ventricle may be at risk of failure post anesthesia or on induction. I suggest you obtain an opinion from an anesthesia team well versed in high risk cardiac anesthesia. I have traces of mitral regurgitation with no mitral valve prolapse, mild pulmonic regurgitation and mild tricuspid regurgitation and an elevated rvsp. That being said. My primary care physician said everything was normal on my echo and ekg. I’m confused. Should I be worried or have further tests. I think I may also suffer from sleep apnea although I’ve never been tested. I suggest you have a cardiologist review you echo with regard to the rvsp estimate, with regard to the valve issues you have nothing to worry about. Hello. Im 34 yrs old female living with pvc’s for the past 9 yrs. i’ve done all kinds of tests done like echo’s holters. Event monitors and the pvc’/ are all benign. In my previous echo’/ they always find traces of regurgitation in my mitral and triscuspid valves but the doctors always say not to worry about it. I just had an echo done last week it shows the same refurgitation but now it shows an rvsp of 25 mm hg. Other than that everything else is normal. Im super worried. What does that mean? How come that never showed in my previous echo’/ ?? Hello. Bicuspid aortic valve and heart disease runs in my family. Mom had severe aortic stenosis; sister has BAV and valve replacement. Two of my three daughters have BAV. Last year I had an echo to rule out BAV, and was found to have mild aortic insufficiency, septum primum aneurysm, dilated left atrium, mild tricuspid valve regurgitation, and right ventricle peak pressure of 33 to 38mm Hg. I have no symptoms other than occasional palpitations and “flip flop” sensations in my chest. I’m female, thin, and 53 years old. Cardiologist had no comment other than noting “Mild AI” on my echo report. Primary doctor says to keep an eye open for new symptoms. No repeat echo or testing recommended. Any thoughts or recommendations from you guys? Thanks. No specific further testing would be advised typically on the basis of this echo. I wouldn’t worry too much if i were you, even if elevated its only mild, concentrate on factors such as lifestyle, blood pressure and cardiovascular risk factors. I wouldn’t be too concerned if i were you. Dr. Ahmed, I’ve had numerous echocardiograms and stress tests due to abnormal EKGs. I have NO symptoms during exercise, ( I got up to 15 METS on the treadmill, but they stopped it because I was showing possible ischemia) they sent me for angiogram and it came back -NO blockages…now I’m being sent to get a Cardiac MRI to rule out LVH (my father has it, he’s in his early 60’s). All of these tests have made me worried and NOT want to exercise, oh the irony! I’ve purposely stopped working out for the last 3 months (detrained) to hopefully get an accurate result from the Cardiac MRI (so it won’t come back possibly looking like Athlete’s Heart…I normally do the Insanity workouts). Is the cardiac MRI much more accurate than the echo? I’ve had a few echos in the last three months and they all show different values. I’m hoping to finally get some answers. Also, is too much cardio a bad thing for the heart? This whole experience has me worried to work out now. Any help is greatly appreciated. Thank you. Athletes heart is an interesting and complex area. I suspect people are a little concerned by your EKG. Its one of those areas where its difficult for people to give you reassurance because they are scared of telling you its ok to do what you want then being liable if something were to happen. The worse outcome of true hypertrophic cardiomyopathy is sudden death, whereas in athletes heart the course is more benign and the enlargement felt to be physiologic as opposed to pathologic. Chances are you’re totally fine but i cant of course say that without fully reviewing the case. The MRI is a good idea in my opinion here as it can accurately measure chamber and wall size and thickness and characterize the morphology of the heart. There are criteria than can help differentiate the 2 based on these measurements and provide you reassurance. As for too much cardio bad for the heart, the debate is ever ongoing, but there has been more momentum backing that contention up in recent years. Thank you so much for replying. I didn’t think you would. It’s greatly appreciated! Could I please have some advise if you would. My mother of 77 has just left the doctors after being told she has an rsvp of 60mm hg. She has already waited for two months for these results. They have now asked her to have further tests. She is short of breath, tired and has very swelled legs. Is there anything she or they could be doing to help the situation whilst we wait. Should I escalate these tests and pay privately. Its a very broad question and i would need to know a lot about her medical history prior to advising whether there needs to be expedited review or not. She has echo evidence of pulmonary hypertension, but i cant at this stage comment on whether its primary or secondary. What did the rest of her echo show? What further tests have been planned? does she have a history of heart failure or lung disease? I have a echo that stated on 10/4/15 that I had diastyolic dysfunction grade 1 with a 65 EF rate, ut said a little stiffness in heart muscle and its nothing to worry about, cut back on salt, kerp bp down and loose weight, I was 267, now 245, still feel bad, 3 days later had another echo showed a pulmonary artey systolic prrssure of 31, Dr. say a little elevated, but it suggest on it borderline mild ph, how can echoes read so different in a couple of days, my cardiologist, said the stiffness in the heart muscle could be something if I dont correct the underlying problems. Questions, three, Do you think I should worry with further testing, Is e1 high on an echo, brcause I read it was a peak value instead of mean and if its 40 on echo that means a mean value of >25 and that is ph, is this true, and is a little stiffness, they say something, I read diastyolic dysfunction is congested heart failure, nurse said no, my EF is too high is this true, do you think this is congested heart failure, Dr. wont answer, but she put it as a diagnostic on my records,, I also have mitral valve ptolapase sydrome/dystautonomic with mild regurgitation and mild tricuspud regigutation, what do you think, I know you just here to give opinion, but would be appreciated, Could you please answer all three questions to the best of your knowledge, help. You don’t have significant evidence of pulmonary hypertension. I cant comment on the echo diastolic function accurately without reviewing the images. Mild tricuspid and mitral regurgitation can essentially be considered normal findings. Also remember that heart failure is mainly a clinical and not an echo diagnosis! Typically this will require treatment. Have you seen a pediatric cardiologist for an evaluation? I’ve had some slight chest discomfort a few months ago, not really pain or severe tightness, rather something that very likely could also just be heartburn or stress. Saw a cardiologist anyways, he did an echo that came out normal except for an RVSP of 43. He said it’s nothing to worry about. Now, 4 months later, decided to get a second opinion on it, because I kept questioning if the RVSP is really nothing to worry about. New doctor did an echo again with an RVSP of 35. He said that’s the high end of normal, but still normal. All RVSP assumed a default RAP of 10, not measured with the different techniques that exist. The 2nd doctor looked at the echos of the first one and said the quality is good, so he has no reason to believe the 43 is due to a measurement error. You have any idea what could have caused the high RVSP that is now normal? I wouldn’t worry, these measurements are hugely approximated and nowhere near pinpoint. Thanks! I’m aware that a RVSP from an echo is not necessarily accurate, but I was told that it’s pretty precise. A 3rd echo showed the same TR velocity as the 2nd one, resulting in a RVSP of 35. The other thing that seems strange is that the first echo, along with a RVSP of 43, also showed diastolic disfunction grade 1 (abnormal relaxation), which were not found on the 2nd or 3rd echo. The second cardiologist, who did echo 2 and 3, thinks the quality of the first echo is good, but can’t explain why the diastolic disfunction just disappeared and why the TR velocity is lower now. He also said that diastolic disfunction is usually not something that just goes back to normal. Right atrium: The atrium was mildly dilated. – Tricuspid valve: Trivial to mild regurgitation. increased, estimated to be 38mm Hg. (This was just copy and pasted directly off my report.) Everything else was labeled as normal…my Primary care doc said I am good to go nothing to worry about. I’m confused though. Obviously I’d rather have everything say normal…so what I’m wondering is why are these things not normal (what contributes) and what can I do to make them show normal ranges? Thank you for any help or expertise offered! I wouldn’t worry too much about the values per se, the abnormality is not large if there is one, and i would recommend concentrating on traditional cardiac risk factors. I have an rsvp of 42, moderate triscuspid regurgitation of 2-3 and an enlarged atrium. Ejection fraction 50. Everything else was normal on echo. Cardiologist says not to worry and to come back in a couple years. He thinks it’s unlikely that I have PH. I was having severe anxiety over this so he says well why don’t we just do a right heart cath to ease your mind so you can sleep. Is that the right thing to do based on my numbers? Or should I just not worry about it and re check the echo in a few years? I had a Right Heart Cath done recently for suspected Pulmonary Hypertension after several Pulmonary Function tests showed an isolated DLCO of about 55- 51% over a year and increasing shortness of breath especially on exercise. HDCT Lung scan was normal as was Echocardiogram, except they could not measure the Pulmonary pressures. So a resting Right heart Cath was done which they said was normal with no Pulmonary Hypertension. However the RSVP was elevated at 32/9, but the mean Pulmonary Artery Pressure was 18, so no Pulmonary Hypertension. Was told the elevated RSVP was nothing, but I have a mildly enlarged heart and have had Hypertension and a LBBB for some years. Also a h/o of some intermittent Chest pains which hasn’t been diagnosed and also an irregular heart rate at times especially on exercise which was thought for a while to be Atrial Fibrillation on Holter Monitor and treated accordingly with Beta Blockers and Anticoagulants, but then they suddenly changed the diagnosis to Supraventricular Tachycardia, so treatment for AF was stopped. Said it was difficult to interpret the Holter due to the LBBB and the very rapid rate of the tachycardia. Since then I get intermittent irregular beats of what sort I don’t know. My Question is first concerning the RVSP being elevated and if this is, as I was told, “nothing” or if its a sign of early Heart Failure with my other symptoms which also include not only shortness of Breath on exertion but lately sometimes at rest as well. Don’t know why and my Drs are saying they don’t know why either and think because I am a little overweight but certainly not even close to the obese category, and that this might be causing the shortness of breath. I asked if they needed to follow up down the track with the Moderately reduced DLCO and was told “No you just need to live with it. Lose 5kilos in weight and exercise!” and then they said the DLCO was only mildly reduced after taking a very keen interest in it initially. I am confused to be honest especially with ongoing shortness of breath when I exercise, eg walking up hills plus great weakness walking up and even down stairs. Should I get another opinion? My 89 year old mother is presently hospitalized with R heart failure and pulm HTN. Her right ventricular systolic pressure is 106 on echo. I am unable to find prognosis for that level but am concerned that her prognosis is very poor. She is returning to her own home where she lives alone tomorrow or Wednesday. Do you know what her life expectancy is with that reading? One year ago rvsp was 66. Thank you! Hi Corine, she has severe pulmonary hypertension and her pressure is very high. At the age of 89 many factors determine the aggressiveness of any intervention. What was the suggestion of the involved cardiologist? The prognosis will depend upon the treatment options available and the underlying cause of the pulmonary hypertension. In an adult that plan is appropriate, in a child I’m not familiar with guidelines, we will have a pediatric cardiologist joining the my heart.net team soon and ill pass the question on to him. confused as to what category I fall in. Thank you! Can you provide more information on the echo? Is that number still on normal side ? I am a moderately healthy 69 yr old female with moderate to severe tricuspid regurgitation and mild pulmonary hypertension. My RVSP has increased from 30 to 40mmHg on a echocardiogram in the past 6 months. I have read your articles pertaining to RVSP and would like to know if you think “stress” can contribute to an increased RVSP. Thank you for responding. I am 52 years old and had a lung lymph node biopsy on 1/20/2017 for suspected lung sarcoidosis – results were inconclusive and are being reviewed. On 1/25 I had an echo as a precaution which showed an RSVP rate of 60. My doctor told me is in the upper-mild range, approaching severe, but everything I read says it well into the severe range which really concerns me. He has ordered lung imaging with and without contrast and will be referring me to a heart specialist for a right cath which will certainly be a few more weeks away. I’m concerned we’re moving too slow as this may have been going for some time now – my only symptom has been a cough for 2 years that has not worsened, my dr attributes to the sarc. 1) Is there any chance the echo could be way off and it’s not that high? 2) If it’s accurate, how urgent is it? 3) Are we on the right path and timetable? Thank you. Difficult to tell you too much without knowing the entire situation and details of your case. I can speculate. In the setting of lung disease, the echo PA pressure of 60 isn’t an emergency and is often seen. Its due to elevated PA pressure driven by lung disease typically. Its likely been relatively chronic as opposed to acute. The echo is an estimate and usually i would say +/- 10-20 however the right heart cath should confirm. Your symptoms are chronic without acute worsening and i don’t think you should worry about rushing things. Thank you so much so much, Dr. Ahmed. Is the prognosis for chromic better or worse than acute? If my echo measured 60mmHg and actual can be +/-10-20 possibly resulting in a rate of 70 or 80, wouldn’t that (isn’t that) dangerous? Also, I understand PH is a progressive disease that I’ve probably had it for some time already – hasn’t the delay in diagnosis and now delayed treatment damaging me further? Thanks again! Its difficult to say, i wouldn’t worry too much, see what the right heart cath shows. If severe, often there can be a good degree of reversibility with the correct treatment. I have been bounced around and left confused. Last feb 2016 I had an echo that showed mild pulmonary stenosis and to my knowledge everything else in normal range and LV ejection fraction of 70%. This November I went to see a pulmonologist because of increased shortness of breath, tachycardia and low sat with little exertion. I had an echo LV ejection 58%, PA pressure 30 mmhg. Just last month, a RHC shows RV at rest 30 with exertion 52. On comments it is listed normal filling pressures at rest, significant drop in cardiac output with exertion. PA sat 61%. I am confused, no treatment and not sure what to do. It means he may have severe pulmonary hypertension, the underlying cause needs to be investigated. I understand that he went for open heart surgery and replaced two valves in the year 1996 at SVIMS in Tirupathi. Kindly suggest how to proceed. Does he needs to undergone surgery once again. He is very poor as well and cannot afford much money. Kindly suggest the best way to come our of this problem. I suggest an opinion from a valvular heart and pulmonary hypertension / heart failure specialist, i wouldn’t be able to comment specifically without seeing him or the full testing regimen. I am a 56 year old female that was diagnosed via echo in January with pulmonary hypertension. I was started on generic Revatio. My pressure was 73. I was born with an ASD/VSD. These have been repaired.I also had a cleft mitral valve that was repaired and then replaced with a mechanical valve. I went on to develop chronic atrial fibrillation and diastolic heart failure. I have shortness of breath with activity, especially walking up stairs or doing heavy lifting. I have been on a leave from work since January. I am due to return shortly. I guess my question is how serious is this diagnosis for me and is it realist for me to be thinking about returning to work. I have a job that requires a lot of walking and lifting at least 50 pounds. I thank you for your time. What were the results of your last right heart catheterization and what were the responses to the revatio? I have heart papitations for approximately 5 yrs. I went on a cruise and was speared by a fish in Cozumel that lead to stroke, encephalitison the brain, not able to walk for couple of months ,etc. Anyway, make story shorter didn’t have papitations or feel exerted . I have been telling family doctor, heart Doctor, thyroid Dr that I gasp for air nightly ( it feels like a person who is having a really bad dream and there about to hit bottom and suddenly it quickly wakes them up and your body quickly sits up) I do this almost every night! !and papitations are usually stronger at night. Iwas even sent to have a sleep study and it came back normal. Well the nurse practitioner after 4 years finally decides to do a ultra sound on my heart. This is what it says: Normal left ventricular cavity size with normal systolic function. EF 60%. No obvious wall motion abnormalities. Right ventricle normal in size and function.Left atrial volume normal, less than 34ml/m2.Right atrium normal in size. Aortic valve appears structurally normal with no evidence of aortic regurgitation. Mitral valve appears structurally normal with Mild Mitral Regurgitation. Tricuspid valve appears structurally normal with Mild Tricuspid Regurgitations. est RSVP =25mmHg. I didn’t have on my glasses and she says everything looks good and scheduled to see me in a year . I left with results and was happy . I found glasses and read and the bottom part about 2 valves having a leak nothing said to me by nurse practitioner. Ant there a more extensive check to really see how much leakage is taking place and see if I need to replace the leaky valves? Why should I wait till more damage is done to heart to check the leakage . Also the word est ( estimate ) doesn’t tell if it may be more. Hi Doctor — back in 2005 I had a stress test, which was completely normal and showed pulmonary artery pressure of 41; subsequent echocardiograms which I had showed pressures of 36 and 41. I visited a pulmonologist at the time, and had bloodwork done, a sleep study, CT scan, and a ventilation/perfusion scan; the only things which showed up were mild bronchiectasis in my right lung and some scoliosis. I currently have no symptoms like shortness of breath, chest pain, fluid build-up, etc, and I walk vigorously three miles a day. I also recently had an ekg in 2013 and one just a few weeks ago as part of a colonoscopy, and nothing abnormal was found. I’m a bit concerned reading more about pulmonary hypertension and its prognosis — do you feel that there is anything for me to be concerned about, as it has been twelve years since my first reading of 41 and I have absolutely no symptoms and normal ekg’s? By the way, I am going for another echo in a few days. Its good to keep an eye on it but i wouldn’t be overly concerned. Is it possible for pulmonary artery pressure to be just mildly elevated as shown on an echo, perhaps as a result of scoliosis, without having actual pulmonary hypertension? Also, I’m probably reading too much in to this, but I presume that if I had damage to the right side of my heart due to high pulmonary pressure over the last twelve years, hypertrophy or some type of disfunction would have shown on the ekg which I just had a few weeks ago? Thank you so very much again for your input — it means so much! I think you are overthinking it, particularly if the structure of the heart is normal on the echocardiogram. Thank you again so very much for your reassurances doctor! I completely agree that I’m overthinking it – unfortunately, I’m having a major flare-up of health anxiety from what I think are hormonal changes from being in Peri-menopause. I cannot thank you enough for not only your informative article, but also for your kindness and compassion in responding to my concerns! Thank you again. Are there measures a person can take to control RVSP? I have an aneurysm in my pulmonary artery. My cardiologist says the most important thing in controlling progression is controlling RVSP. In general it is lifestyle measures, such as exercise, diet, weight loss, blood pressure control and control of cardiac risk factors etc. in the vast majority of cases pulmonary artery aneurysms will not require interventions. They should be surveyed over time to ensure stability. Thank you so much for the reassurance and the information, very helpful. I guess I never understood that this was something I could help to control. I always assumed I had no control. In the last year it has ranged from 40-51. Most of these things I am already doing with the exception of exercise as I have been advised not to exercise by my cardiologist due to aortic stenosis. My cardiologist, who is usually very candid and is thorough in explaining conditions has been evasive of my questions surrounding this, which has only caused me to worry more. I appreciate the additional information. I will definitely sleep easier . Normal LV function with good systolic function. So my question is that am i feeling lightheaded and palpitation after meal is due to Tricuspid regurge or something else. Doctor said u have very good and healthy heart. But u have anxiety disorder. Can anxiety cause lightheadnedness and palpitataion. Please answer. The echo report appears normal although it doesnt mention the degree of tricuspid regurgitation. I Asked doctor , he says its trivial tricuspid regurgitation. Can it cause lightheadedness? Hi, I am 28 yrs old and in pretty good health. I have run two half marathons and work out 3-4 times a week. About a year ago I started feeling thumps in my chest when I was sitting down and also felt like I could not catch my breath. I wore a holster monitor and it said I have PAC’s and sinus tachycardia. I also had an echo that showed, mild mitral regurgitation, mild tricuspid regurgitation and elevated pulmonary artery systolic pressure of 32.36mmHG. He prescrivbed me ivabradine. I had a second opinion before I started the medication and the new cardiologist said not to take that. The new physician gave me an echo that showed different results than the first; it showed trace mitral regurgitation, trace pulmonic regurgitation, trace tricuspid regurgitation (how can the echos be so different?). He also did a stress test that showed I had abnormal pulmonary response. It said I had mild ventilation perfusion mismatch, impaired pulmonary circulation, increased dead space and chronotropic incompetence. HR response is blunted and to consider autonomic dysfunction and hypothyroidism. My thyroid has been checked and it is normal. My doctor informed me these are minimal findings, but never explained what this all means. I am still feeling tight in the check and it is hard to get a deep breath sometimes. Should I seek another opinion? He did not explain what autonomic dysfunction is, but suspected I was born with it? I would just like to know if this is all seems okay or if I should seek another opinion. Firstly, the valve disease is mild in one study and trivial in the other, these are basically the same and nothing to be concerned about in general. Before seeking a second opinion i suggest you schedule an appointment with the testing physician and ask to discuss the test findings and the implications in detail. I am a 52 year old female, normal weight. I went to a cardiologist due to having near fainting episodes over the past two years (come on suddenly, last 10-15 seconds, then get heart palpitations. Not when going from sitting to standing). Dr. ordered echo, which showed RVSP 50-55, left atrium mildly dilated, mild tricuspid regurgitation, otherwise normal. Then had CT of pulmonary artery which was normal. Then a stress echo, which showed RVSP 45-50. Also wore an event monitor which picked up arrhythmia. Saw EP who prescribed Midodrine (said blood is pooling in my legs), but near fainting episodes have continued even with taking the med. Episodes occur 1-2 times a week. Cardiologist says he will repeat echo in 3-6 months. I’m concerned about waiting as I’ve been fatigued and also over last couple years have had a strange dry/achy sensation in my breathing passages. I am otherwise very healthy. I greatly appreciate any insight you can provide. Your situation sounds complex and requires more attention that can be provided through brief comments. What we know is that you have fainting episodes, pulmonary hypertension and progression of symptoms including breathing issues. I would suggest a step you take is to see a heart failure specialist and have evaluation and work up of the pulmonary hypertension. I have been taking sprycel, I just quit taking it i, is it fairly safe to waite a vew months to see is the pressures come down before testing further. I would like to keep takeing it is there a treatment to correct this if it is a side effect of sprycel and i keep takeing it? You need to see a heart failure specialist who can assess the situation in its entirity prior to answering that. The echo was recommended for possible pulmonary hypertension. My husband’s PFT tests continue to state “Mild Airway Obstruction”. He has developed raynaud’s over past few years; and, his primary recommended that he see rheumatology. The rheumatology testing all came back negative, other than a slightly elevated CK ( which she stated was not a concern). She then suggested the echo and PFT to explore the possibility of pulmonary HTN. My husband’s health history is pretty benign…active guy, always been a non-smoker. Recent years, however, revealed sinus and allergy concerns, with some reactive airway disease, he is now undergoing allergy shots. Based on results of echo above, the rheumatologist stated that the they were “suggestive of pulmonary hypertension” and should be evaluated for further work up by cardiology. We cannot get in to see the cardiologist for a few months. We would greatly appreciate your thoughts. I do not see any signs of pulmonary hypertension on the echocardiogram. The right ventricular systolic pressure of 23 is basically normal. 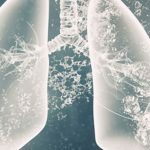 Both airway obstruction and Raynauds can be associated with development of pulmonary hypertension. I don’t see it in this case, maybe ask the Dr again why they are concerned. Normal RA pressure is 10. The RA pressure is used in combination with the RVSP to determine the PA pressure and so is part of the calculation. Regardless in this case, with RVSP of 23, even if RA pressure was 15, there is not clear evidence of pulmonary hypertension. Reassuringly the right ventricular size and function is normal. The stable nature of your readings is very reassuring. Particularly if the rest of the echo is ok. I found out in that I have moderate pulmonary hypertension (RVSP 42.57 mmHg) in the echo result, plus trivial leaking valves: (tricusped, mitral and pulmonary valve regurgitation). This test was a year ago, and I will repeat it after two months, is that good step? I also had a period of time in the last year when I had tachycardia and high pressure pressure, doctor ordered medication for two months and then discontinue. Now my pressure is okay but it increases from time to time. I also suffer from sleep apnea.. but not always. now I’m having bradycardia or slow heart rate without any treatment. I wasn’t like that before, I didn’t have heart rate less than 60 at rest.. and alteration between bradycardia and tachycardia.. could it be related to the echo? Is it possible that my condition got worse? I have symptoms now.. I get tired when standing for a while, bounding heart, and chest heaviness. When I wake up I feel weird feeling in my chest.. Also in hot weather I get tired. Ps. I don’t know if it will help, but I have problems in my menstruation. Please tell me what should I do next? What is my condition doctor? Help please,I can’t find anyone who cares.. The trivial valve leaks are not concerning and can be considered normal. They are not likely related to the other symptoms. A monitor may be of use to characterize the heart rhythm and rate. The symptoms are varied in nature and so its difficult to comment further on here, but i would certainly recommend a full evaluation if you are concerned. Thank you very much Dr, what about the pulmonary hypertension? I am 56 years old and I have had mitral valve prolapse with moderate regurgitation for several years. I have been having shortness of breath with laying down and going upstairs for the past week. Unable to get any sleep due to this. I have small-moderate size bilateral pleural effusions on X-ray. My echo now shows estimated PA systolic pressure of 80mmHg. My cardiologist appt is not for another 2 days. Would you consider this to be emergent or can it wait until my cardiologist appt? In general it could wait till you see the specialist unless your symptoms are felt to be unstable in which case you should go to the ER. That PA pressure is high and will need evaluation and treatment. It is expected with emphysema you would have an elevation in the right sided heart pressures and the PA pressure (rvsp), important is the treatment of the underlying emphysema in this case. The tricuspid regurgitation on the echo is used to estimate the pressure in the lung arteries and sometimes it is difficult to do. In this case discuss with your dr whether there is indication to investigate further or as i suspect just continue to treat the emphysema. Hi. I am an active 53 year old female. Due to shortness of breath issues, I had an echo that showed pulmonary pressure of 48 with mild mitral and tricuspid regurgitation. Also, mild right atrial enlargement. He says doesn’t think pulmonary hypertension and we can wait another year for a repeat echo. Does this seem too long? Thanks for this wonderful site. I’m a 67-year old woman and had an echo subsequent to a stroke on 4th of July. The echo showed right chambers mildly dilated with moderate to severe pulmonary hypertension; tricuspid valve showed pulmonary artery systolic pressure estimated at 59 mmHg with Doppler findings suggesting moderate to severe pulmonary hypertension. I am confused about what my diagnosis means and how serious (or not) this situation is. It appears the most likely cause of the stroke is the atrial fibrillation and you are being treated appropriately. The right sided chamber dilation, pulmonary hypertension and the history are concerning, although your functional status is reassuring. You should be under the care of a heart failure specialist with an interest in pulmonary hypertension to evaluate for reversible causes and treat this and follow it appropriately. I recently had an echo done because i had one done almost 2 years ago that showed that my right ventricle is enlarged. The recent one showed that my right ventricle hasn’t gotten any bigger but it showed that my rvsp was 30. Is that normal since the echo only shows an estimate? I’ve been having shortness of breath since my daughter was about 3 months old so it’s been going on for about 2 years. I’ve been told that i have asthma, GERD and a hiatal hernia. I also had a ct scan that showed my pulmonary artery is very prominent. The ER doctor who did my CT scan said i might possibly have pulmonary hypertension. Im just very scared! RVSP of 30 is not considered very high or a cause for immediate concern, so i would not worry too much from that aspect. You are correct in that it is an estimate, however it can be followed over time to assess for changes. If your right ventricle has been shown to be enlarged it may be wise to see a cardiologist that specializes in pulmonary hypertension to discuss things further although it does not sound as it you have an immediate cause for concern if you are otherwise stable. Do you think that I need to have a heart cath done? I just want to make sure for certain that my pressure is normal. I am a 44 year old female with Systemic Sclerosis. I recently had an ECHO with a RVSP measurement of 38.9 mmHg (a 2.5 mmHg increase over last year’s RVSP). Given that I am at heightened risk for PAH due to SSc, I am very concerned that my numbers are increasing. I have some mild breathlessness, and occasional dizziness, as well as some chest pressure especially while lying flat (but that may be due to anxiety. I’m unsure). I requested a RHC for additional confirmation because my understanding is that Borderline PAH is more likely to turn into PAH for those with Systemic Sclerosis. My Cardiologist is not familiar with this disease and at first didn’t seem concerned about my numbers, but he has nevertheless put in a request for a RHC. Is my request reasonable given the severity of PAH in those with connective tissue disease? My understanding is there are treatments that if administered early can slow or halt the progression into PAH. You seem very well informed, read the following link, its not a cause for alarm or to overwhelm you but you may gain further insight from reading and it may help you formulate questions. https://www.ncbi.nlm.nih.gov/pmc/articles/PMC3787920/ it may be useful for your cardiologist also if they aren’t familiar with it. In terms of echo, its important to realize its study to study variation, i personally think there is no way echo can detect reliably2.5mm hg differences. If there is a concern for clinically significant pHTN then RHC would be generally recommended. My recommendation is that if concerned then you be followed by a pHTN specialist heart failure trained specialist. I am a 64 year old female, normal in weight with a history of scoliosis and asthma. I have developed lower extremity pitting edema that increases as the day goes on. I have mild intermittent shortness of breath when bending over and on exertion. An echo revealed RVSP 34 mmhg, RAP 15 , the inferior vena cava is dilated with respiratory size variation less than 50%, mild tricuspid regurgitation, all structures normal in size. Ejection fraction 67%. Should I see a cardiologist? I would start with a primary care physician and see if they think that is necessary. Im a 57 year old female who in 2010 had a RCA 90% dissection. There was NO reason according to doctors how this occurred or why. They just did not have an answer. Have no family history of heart disease. For the next 5 years everything went a long as normal as possible. No real issues things KIND OF got back to normal. I had regular bloodwork and echo’s and took many heart meds to help remodel my heart. About 6 months ago my Cardiologist called to ask me a question,,,,,,, Would I be willing to consider a heart transplant? WHAT! How did I go from all is stable to a heart Transplant. I was not only shocked but I got very depressed wondering how we went from ok to really bad with no information in between. I have been transferred to a heart failure/transplant doctor about 2 hours away from my home. Kaiser cardiology in this area is supposed to be really good. BUT. They started to mess with my meds first and foremost. Go up on this go down on this, change to this and add this and this. This happened over about a 4 month period. Im on Lisinopril, Simvastatin, Aspirin, spironolactone, (sp?) Toursemide, Klor con for potassium, coreg. My blood pressure is extremely low. Last reading 78/65. Sometimes its lower. Im on a huge amount of lisinopril which is a BP med so I would like to know more about that. I would love to have some feedback on how I can work to make thing better, at least work towards a goal. My recent BLOODWORK ONLY showed my lung pressure was up in the 70’s I believe it was 73. How can I get that number down. I feel ok I have good days and bad days, I sleep just fine, I can sleep flat, No shortness of breath, and the only issue that bugs me is when I bend over I get dizzy. My weight is great, my appetite is great but my depression has gotten way worse. I know you cannot dispense medical advice I understand completely but I need something from someone other than my doctor. I feel like I go in and Im so rushed and crazy she talks so fast and when I tell her what I want most is to be alive for a very long time. I want to see my kids and their kids grow up. I didn’t get a response from her. Nothing like “we are going to do everything we can to make that happen. NO response. Im just a mess right now. It sounds like they are trying to maximize medical therapy for heart failure which is very appropriate and even better that this is being managed by a heart failure specialist. The specialty is highly advanced and there are essentially many options for patients with even the most severe heart failure. The key is to follow people when stable and act at the appropriate time rather than when they are about to “fall of a cliff”. Outcomes are much better this way and although still a high risk population in general, people with even the most severe heart failure can live much longer than dreamed of before. Hello doctor I am female 54 years old I am 5 feet 4 inches tall and morbidly obese. I weigh 314 lb and have moderate sleep apnea. I do not have a CPAP machine. My latest Echo should everything normal except for an rvsp of 40 and mild tricuspid regurgitation. I have pitted edema in both lower legs. Doctor says I did not have pulmonary hypertension. Do you think this could be true? Thank you for answering so quickly and donating your time. My cardiologists said not to worry that the higher pressure was due to my morbid obesity. He seems to think that if I lost weight it would go back to normal. Do you think this is true? It may help for sure. I am in the process of evaluation for pulmonary hypertension.. I have only had a echo done so far. At first the doctor said everything looked normal. Then he said I have mild pulmonary hypertension. Some places on the internet say a pressure of 40 on the echocardiogram is upper limit normal , and others say its is hypertension. which is it? Could he be wrong? I read up on it and it says its fatal. I am so scared. I am a single mom and have no other family to leave my children to. I read 5 year survival is hard to reach. He believes it is something called secondary. What was the pressure on the echo report? What was the right ventricle function? If mild, you likely have no immediate cause for concern and should concentrate on lifestyle and cardiac risk factors. My pressure was 40. I had a sleep study. Said moderate osa. Wants me on a cpap. What are my chances of my pressure going back to normal using a CPAP? i forgot to add my lv ejection fraction was 55 percent. hello dr. you asked me for my pressure but have no answer from you. are you still answering questions? I do not know wether to see a ph specialist or not. My pulmonologist says I have mild pulmonary hypertension. My echo pressure is 41. My cardiologist says no I don’t and that its the weight of my chest crushing my lungs that is raising my pressure. I joined a forum for pulmonary hypertension and everyone is saying to get to a pulmonary hypertension specialist as soon as possible because that high of pressure is definetely pulmonary hypertension and I need to know what it is caused from. All other measurements on my echo was normal. My symptoms are pitting edema. I want to go in the right direction but at the same time I don’t want to over react. However I need to know wether to tell my family I have a fatal disease or not. I have young children I need to think about. What do you think? 41 is not an emergently high pressure, and if the right sided heart function is ok and the read felt to be accurate there is clearly no need for panic. If you feel you will be reassured, there is no downside to seeing a PH specialist. But don’t I need a right heart cath to see what type of pH I have? Or is it possible my other doctors right and I don’t have pH? I have been diagnosed with mild pah with no treatment. Echo and nuclear scan showed it. Right heart catheterization showed actual pressure of 33. I have COPD, and sleep apnea, as well as lung damage. Should I be getting treatment or a second opinion? Treatment in this case would be of the underlying lung disease and the sleep apnea. Report reads RVPE at least 70mmHg but incomplete TR spectral envelope on ExEcho. Is this considered exercise induced pulmonary hypertension in setting of repaired complex CHD, but with many AP collaterals and hypoplastic branch pulmonary arteries in adolescent ? He has severe dyspnea. Pulmonologist believes PHtn is involved. Cardiology is dragging feet. Zakki is a survivor and has had 15 heart surgeries and interventional catheterizations. He has also survived massive pulmonary hemorrhages secondary to AP collaterals. I followed you on Twitter. BSA.. My calculated EF=74%. There are no abnormality motion of the segment wall at this time. My LV thickness and diastolic functions are normal. I do have some mitral valve leakage/ early squirt. My RV it is also mildly Enlarged. Tricuspid valve does not appear to prolapse at this time… here’s my big scare and I have not been able to sleep for quite a few days. My calculated PA pressure is 35mmhg. My cardiologist doesn’t seem to be worried and says I shouldn’t either. What are your thoughts on recommendation should I get a second opinion? Everything I read on P a pressure above 25 is not good. Thank you for your time. I wouldnt worry, its not overly concerning, i would follow the advice of the cardiologist treating here and not be concerned. Is RV pressure greater than 70mmHg during exercise echo considered pulmonary hypertension if a tricuspid jet could not be obtained in an adolescent with severe dyspnea? In the setting of complex congenital heart, AP collaterals, hypoplastic branch pulmonary arteries ? Good day doctor. I have 4 questions. I am considered super morbidly obese. I am a short middle aged woman 5 foot 3 and a little over 300 pounds. My heart doctor is insisting I do not have pulmonary hypertension even thought my echocardiogram pressure was 40.7 . His reasoning is that there is nothing else wrong on the echo. However, I read online that if nothing else is wrong then this warrants a right heart cath. Legs and ankles are swollen. I am not short of breath unless I try to run. I can climb a flight of stairs but not two. PFT normal . 6 minute walk test normal. He is insisting having an elevated pressure on an echo is actually quite common. Is that true? He wants to wait 8 months and give me another echo. I hear pulmonary hypertension advances quickly. I worry also because in 2013 my echo pressure was 26. I was about 50 pounds lighter at that time. Isn’t the increasing pressure worrisome? Should I see a doctor who specializes in pulmonary hypertension? Do you think another 10 years of living is possible with pulmonary hypertension? Echos done due to pac’s and pvc’s. Thank You Doctor. In terms of the right heart cath, that would not always be warranted unless there is felt to be a clinical need. Particularly if it will not alter the treatment recommendations. Try continue to do a great job and lose more weight prior to the next echo and see the effect on the pressures. Also see if there is a role for a sleep study and treatment of sleep apnea. There is no reason to thing your pressures would rapidly advance, if anything with the measures described they should decrease. I get palpitation after meal on daily basis mostly after lunch. Dont know the cause of plapitation. I have recently done an echo. Doctor says its normal. My question is can palpitation after meal deteriorate the regurgitation over the time progress. A monitor worn for 24 hours that can characterize the palpitations would be the logical next step. Normal appearing, trileaflet aortic valve without significant stenosis or regurgitation. Mild tricuspid regurgitation, peak velocity 2.2 m/s, est. PASP = 23 mm Hg. Normal LV size and systolic function with no regional wall motion abnormalities. Ejection fraction 65%. No concentric left ventricular hypertrophy. Mildly dilated right ventricle with normal systolic function. In general it looks ok without significant issue. Ask the interpreting physician to review and see if the RV is really dilated or if it was an error as it doesn’t make complete sense. Hi Dr. Can you tell me what a dilated right ventricle echo reading may mean if everything else appears normal? – Normal left ventricular size and function. Analysis of mitral valve inflow, pulmonary vein Doppler, and mitral annular tissue Doppler suggests diastolic function without elevated left atrial pressure. – Right ventricular dilatation (base 4.8 cm) with normal right ventricular function. Everything else/all other chambers appear normal. Pulmonary artery systolic pressure = 20.5 mmHg. Thoughts? There are many possible causes of this, the first thing is to contact the referring dr and discuss the findings and whether they are accurate or not. If accurate the next step is to see a cardiologist. Hello I’m a 24 year old female i had an echo done 4 years ago everything was normal trace tricuspid and mild mitral regurgitation and pasp of 20-25mmhg i had another echo 2 years later same findings except pasp of 29mmhg…i recently had a baby on August 1 2017 i had an echo on 10/17/17 everything normal except mild pulmomary hypertension of 36mmhg i have had a chest xray, v/q scan and pulmomary function test everything normal except obstruction on the pulmonary function stress test which states i need exercise i have been having shortness of breath and tachycardia for 4 years the shortness of breath has gotton worser within the past month blood work is normal should pulmonary hypertension be something i should worry about could i possibly have pulmonary hypertension? Its a complex issue and you need to discuss this with the ordering physician. The echo is not a perfect test and doesn’t always correlate with more accurate values. The lung test findings suggest you may have some lung disease and a degree of phtn may be expected. If the treating physician felt that the lung issue needed adressing as treatment of the phtn that may be all that is required. Im not sure why a 24 year old would have lung issues. I would seek an opinion to clarify these issues. The echo suggests even if there is a degree of phtn it is mild. If the ordering physician isn’t concerned then its likely of no clinical significance. The numbers are certainly not in a concerning range. Hello not sure if my comment went through today i had an echo that was normal mild tricuspid and mitral regurgitation but my pulmonary pressure was between 35-36mmhg doctor said mild pulmonary hypertension but didn’t elaborate on it. I have read that pulmomary hypertension is a progressive disease with no cure. Should i be concerned and seek treatment? Amber did you get any answers? Mine is 30 and ct shows a mildy dialated pulmonary artery. Im so worried. Pulmonologist said if it is PH then it is very well treatable. Googling it on the internet is a no-no he says. It was too late, I had already googled. Im scared to death. I have to have another echo and if still 30 he said we will do a right heart cath. 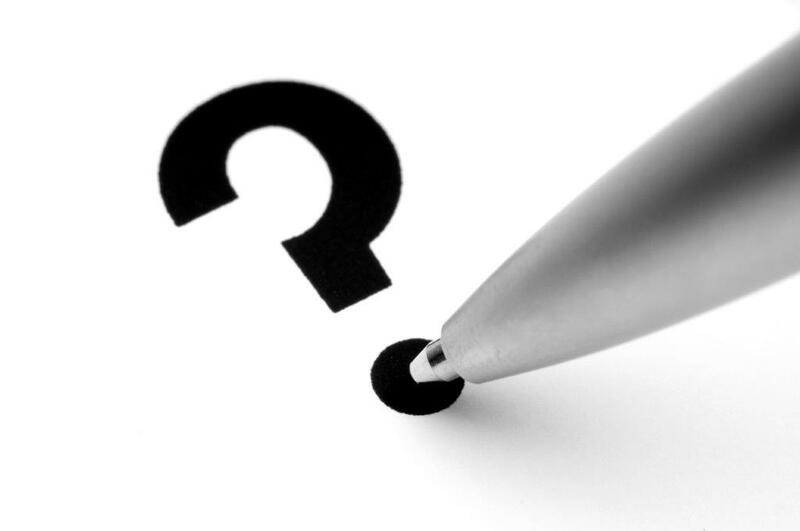 Is an RVSP on an echo considered pulmonology hypertension? Is an RVSP of 30 on an echo considered Pulmonary Hypertension? Thank you. I had another echo yesterday and it said 30. The man who did my echo has been doing it for 28 years and said that isn’t considered pulmonary hypertension but I’m a member of a Facebook page of people that have pulmonary hypertension and every one of them keep telling me that 30 on an echo is considered PH. Lacy….im in a similar boat. My pasp is 30 and the fb group member say definitely ph. Both cardiologist and pulmomary docs I saw in 2013 say no. Just recently ive been having shortness of breath. I have an appt. Wed. with a pulmonary doc. Hoping they order another echo so I can see what the pressure is now since its been 4 years. I had an stress echo done last year but I dont know if the measure pressure or not….they never said. I would recommend asking the Dr who read the echo, it needs to be ensured the pattern of the wave form is accurate and interpreted correctly as opposed to a machine read out. 33-36 is certainly not in a moderate or severe range. I had an echo done at my cardiologist and my rvsp was 40 rest of the echo normal. I went to a pulmonary hypertension specialist and now my rvsp is 36. I am morbidly obese. I have lost 17 pounds since my first Echo. Could the weight loss have lowered my pulmonary pressures? he also said i had mild grade on left diastolic dysfunction. can i live a normal life span with this? i am 54. Hi. I am a 38 year old female trying to figure out if my shortness of breath while doing nothing and also shortness of breath and racing heart once I reach the top of the stairs is due to PH or is it due to health anxiety. In 2013 I saw pulmonary doc…he did workup and said everything good…however I noticed the xray reader noted “mild prominent pulmonary artery which could indicate pulmonary hypertension”. Doctor didnt seemed worried. 2 month later I saw a cardiologist and did stress test which was fine and the echo is below. It states mild pulmonary hypertension. Pasp of 30 …rvsp of 29.9. But he is not concerned. Why? I also have lots of bloating and have had an ent tell me i show signs of reflux when he looked down throat with camera. He says it may be silent relfux causing breathing problems. Please give me your opinion….am I panicking for nothing? I havent had an echo in 4 years…had a stress echo last year though and they said was fine…didnt say anything about pressures or nothing. Mitral valve: There was a mild prolapse. There was mild regurgitation. of breath. Palpitations. Mitral valve disorders. LEFT ATRIUM: Size was normal. RIGHT ATRIUM: Size was normal. MITRAL VALVE: There was mild thickening. There was a mild prolapse. within the normal range. There was no stenosis. There was no regurgitation. the normal range. There was no regurgitation. AORTA: The root exhibited normal size. With regard to your cardiac testing including you echocardiogram it appears to be relatively normal and I do not see any cause for alarm here unless you have been told differently by a treating physician. Also the right ventricular systolic pressure you have reported is essentially in a normal range. Please interpret my Echo Report Normal LV with normal systolic function No segmental wall motion abnormality seen Normal Mitral and Aortic vavle Normal sized RV. No PS Normal Pulmonaric and Tricuspid valve No pericardial effession seen No LV clot seen No Vegetation seen RVOT= 14 mmHg Normal Diastolic function E = 1.11 m/s: E/A=1.35 E/E= 13 A=0.82 m/s: DCT = 73 m/s IVRT = 53 m/s (74+-7) Estimated RV/MPAP = 30mmHg EF= 60% TR Mild with Mild PAH During the test patient has Fast HR (Other all values are in normal range) except TAPSE = 28mm S wave = 14 cm/s * Fast HR was from my anxiety. Because I’m too anxious and suffering from anxiety disorder from past 5 months. And at the time of echo my B.P was a little high 140/90. The question is this, that i really have PAH or it is just misdignosed due to fast HR which put pressure on this? I don’t have any symptoms except a short episode of PVC and little fast HR for a short period. my resting HR is 50 – 65 BPM. I’ll be very thankful for your kind replay. Thank you so much. Its likely normal. The finding needs to be discussed with the ordering provider and the scan reviewed to determine the true accuracy of the reading. ☆(Fast HR was from my anxiety. Because I’m too anxious and suffering from anxiety disorder from past 5 months. The question is this, that i really have PAH or it is just misdignosed due to fast HR which put pressure on this? At the time of echo my B/P was also little high 140/90. I don’t have any symptoms except a short episode of PVC and little fast HR for a short period. my resting HR is 50 – 65 BPM. I’ll be very thankful for your kind replay. Thank you so much. One lung destroyed. Rvsp is51 using sildinafil 100 mg per day.is it serious? Yes it is serious, needs close follow up and treatment and input from lung specialists and pulmonary hypertension specialists. Hello Dr Ahmed i had mild pulmonary hypertension and it seems it went away.Is this possible or can it come back? I’m a 37 year old female who for the past 3 weeks has experienced a sudden onset of chest pain/tightness, shortness of breath and fatigue. My ekg and chest x-ray were normal. My echo showed mild tricuspid regurgitation as well as right ventricle peak pressure of at least 31 mmHG. My cardiologist suspected pericarditis however this was not confirmed by the echo or sed rate. He has now ordered a stress echo. 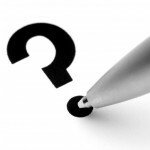 Is pulmonary hypertension a possibility? I seem to experience the shortness of breath and fatigue after even small amounts of exertion. Last month I had the flu which then led into pneumonia. I thought I recovered and symptoms started 2 weeks after ending my steroid and antibiotic. Without looking at the echo its difficult to know the accuracy of the value. However if the pressure is only 31, this is unlikely to represent clinically significant pulmonary hypertension. Should I be concerned? See Dr back in one year. No swelling in ankles. My weight is 135 lbs. Should ask be a n diuretic? Not necessarily concerned, however its important to be followed and ensure the issues remain stable. SEVERE PULMONARY HYPERTENSION(RVSP = 80 MMHg. Doctor suggested for Heart Transplant, but we ( Family) is looking for 2nd opinion, as we are not comfortable to go with such a big surgery . Please Suggest. Normal left ventricular dimension (LV mass index of 78.14 g/m2 and relative wall thickness of 0.47). There is adequate wall motion and contractility. Normal right atrial and ventricular dimensions with adequate RV contractility;TAPSE of 1.7cms. Normal main pulmonary artery and aortic root dimensions. Structurally normal aortic,mitral,tricuspid and pulmonic valves. No pericardial effusion nor intracardiac thrombus noted. Dilated inferior vena caba dimension(2.1cms) with 29% collapse during inspiration. Normal pulmonary artery pressure 29mmhg by RV acceleration time. Concentric left ventricular remodeling with adequate contractility and resting global systolic function. Normal left atrium with Normal LA volume index. Relatively normal, in that no alarm signs. Would make sure the lv mass is reviewed and risk factors such as blood pressure are addressed. What made this jump so far up? How soon should I get my RHC to validate numbers so I can begin treatment? I am going for a 2nd opinion for pulmonology workup as my cardiologist believes pulmonologist missed something. Reason for delay was to complete repeat PFT and sleep study. I am seeing a 2nd opinion in pulmonology on Wednesday. Can I wait a few weeks before treating this? Echo was completed in early June so I'm fearful this has delayed too long. SOB at rest and w/ exercise has increased. Cardiologist has started me on furosemide to help w/ SOB. If you are stable then there is likely no emergency, but there is a relative urgency and it sounds like things are set in motion already at an acceptable pace. 7 years ago I had my first echo and my RVSP was 37. I had it repeated 6 months later and it was 27. I have been scared to death for the last seven years worrying about having pulmonary hypertension. My cardiologist seems to not worry and says it’s not an issue. Recently I had an echo done And my results are below. On the report it does not show my RVSP. I was wondering why? Also the findings my cardiologist didn’t seem to worry about any of it and said this was all normal. I was wondering if I should get another opionin. I have started to have bad health anxiety after reading google and worrying about all of this. I have shortness of breath so bad I feel like I’m suffocating. It sounds reassuring that the repeat number was lower and that the cardiologist isnt worried. The time to get a second opinion would be if there are symptoms that are felt to be related. Dr I’m 36 year old female with POTS, pacemaker due to fainting (rate drop feature). Echo indicates rvsp 38.2, moderate tricuspid regurgitation, mild to moderate mitral valve regurgitation with thick valve. Right atrium measuring “small”. I have no energy no appetite – all Dr said was to return in month for stress test. Hello doctor thank you for your valuable time I had an echo back in December of 2017 it showed mild left diastolic dysfunction grade 1 with an rvsp of 37. They did a repeat echo in July of 2018 it showed left diastolic dysfunction grade 2 rvsp of 53. I am morbidly obese with moderate sleep apnea. My doctor does not seem concerned but I am very scared since it’s progression has only been within six months from last Echo. My preliminary report of the echo showed an rvsp of 37 which would have meant my rvsp was stable but the final report stated 53. How could there be such a big discrepancy? Should I push to have it reread? Am I in danger of my pulmonary hypertension and diastolic dysfunction advancing so quickly? Thank you for your time. Have moments I am gasping for air!,like an elephant sitting on top of me! Feels like I am dying,what would cause this? I’m a fit, 45 year old female with a healthy weight, recently diagnosed with Idiopathic PH which resulted in right sided heart failure. I’ve been referred to a PH Clinic for a right heart cath. Can a RVSP of 60mmhg be reversed or lowered with treatment? Hi – My husband, who is 59 and underweight, has had pvcs for several years which have dramatically risen in the last year or so. I became concerned, so we went to his primary care doctor who did an EKG and went ahead and referred him to a cardiologist. A 24-hour Holter monitor showed almost 31,000 pvcs. He had an echo performed which came back normal (normal ejection fraction, normal right and left ventricle measurements, etc.) except for a very high rvsp of 51. His peak tricuspid velocity jet was 3.21, and the rap was 10. The cardiologist said he needs to see a pulmonologist. I did some research online and am quite scared about pulmonary hypertension. During the echo, he was in constant ventricular trigeminy, and I am wondering if there is a possibility at all that the pressure in the pulmonary artery could be affected in any way by those frequent pvcs during the echo. In other words, does this echo definitely suggest pulmonary hypertension, or is there any possibility he might not have it? The RVSP is high and underlying and treatable causes should be ruled out. Lung disease if suspected can lead to elevated PA pressures. With regard to the PVC’s, given such a high burden i would recommend a consultation with an electrophysiologist. I’m a 32yo female. Acute palpitations, dizziness, chronically fatigued, chest pains, recurrent nausea and severe anxiety attacks. ECHO showed trivial mitral, tricuspid and physiological pulmonary regurgitation with a RVSP of 29mmHg. HOLTER showed very frequent ventricular ectopics w/ occasional bigeminy/trigeminy, occasional couplets and 62 runs runs of trachycardia, rates uptp 153bpm. Supraventricular ectopics with rare trigeminy and 23 runs of atrial tachycardia, rates up to 170bpm. No pauses greater than 2 seconds. Ive been referred to a cardiologist due to these findings by my GP but cannot get into his preferred one until 2nd of Jan.
Should I be somewhat concerned of these findings and if so should I seek out a cardiologist that is available sooner? I had an echo recently that showed Trace mitral Regurgitation, Mild to Moderate Tricuspid Regurgitation and Trace Pulmonic valvular Regurgitation. My RSVP is 33. My PC said to follow up with an echo in a year and I am worried. Should I push for more testing? Your valve disease is not likely of any significance. I am a 27 year old female. I was always generally in good health, did cross country and marathons into my early 20’s but over the last couple of years, have slowed down significantly. I noticed that every time I’d go in to my PP I’d be tachycardic (my resting heart rate is in the 120’s, exercising I’m in the 170-200’s) Would pay a little more attention to my heart rate on my AppleWatch and would always be consistently high. In June an echo was performed that showed trace tricuspid regurgitation, but mild mitral + pulmonary valve regurgitation with an RVSP of 35 (saying it was indicative pulmonary hypertension) with sinus tachycardia with sinus arrhythmia. Bloodwork showed a high HS CRP (5), low HDL cholesterol (45), and a positive ANA screen IFA. I was put on beta blockers up until November (helped with the pounding in my chest, less flutters, but ultimately made me hallucinate) From there I did a 24 holter which showed double beats at some points, but otherwise just tachycardia. With that, and unknown of PH, my PP did a repeat echo which showed again trace tricuspid regurgitation, but mild mitral + pulmonary valve regurgitation with an RVSP of 43 this time. I do still exercise but very moderately because I get very out of breath quickly. I am in a very demanding field, and I’m having trouble keeping up, and getting more and more tired. I have a stress test scheduled for next week, (Unsure if it will be a treadmill or nuclear) and then looking at scheduling a right-sided heart catheter to definitively know what exactly that pressure is. I am also seeing a rheumatologist to do additional blood-work to check for an underlining autoimmune disorder that could be causing this. — My question, do you believe this is the right course of action? Or that I’d be putting myself through unnecessary tests? I’m recently married, want to start a family, but my health / heart are a priority at this time. Firstly i would ensure someone has reviewed the echocardiogram and tracings to ensure that the PA pressure estimates are accurate. Thereafter, if there is true concern for elevated pressures I would recommend at your age that you schedule an appointment with a dedicated Heart Failure specialist to ensure that correct investigations are performed and diagnosis made. They would in general determine whether tests such as right heart catheterization are warranted. Hi. I am a 41 yo male, thought I was in great shape. I exercise everyday(strength training and cardio). I recently noticed PVCs and had a few tests ordered by cardiologist. The exercise stress test was low risk with a score of 15. The echocardiogram showed an RVSP of 38, which has me very scared about pulmonary hypertension. Never heard of it before and now everything I read makes it look very bleak. Besides impaired relaxation pattern and trace to mild regurgitations of the mitral and pulmonic valve, everything else looked ok. I was extremely anxious during the echo, felt like I was having a panic attack and taking deep breaths throughout the test. Can this temporarily elevate the RVSP? And if it’s accurate, should I be concerned. Thanks. The first step is to have the reviewer read the scan to make sure it was accurate. Wouldnt be too concerned at this point. Thanks for your reply. I am pretty sure it was calculated correctly. I found an RVSP calculator and plugged in the values (TR V max, etc.) and it showed 38. I am wondering if this value of 38 at this point in my life (41) gives an indication that it will progress past 40 and put me into the pulmonary hypertension stage 1. And can an anxiety attack during the test increase the RVSP temporarily? I have been consumed with worry over this. Thanks! By calculation i mean integrity of the TR jet and its tracing. I saw a pulmonologist and he would like to do a repeat echo in about 5 more months. I was wondering if the estimated RVSP level of 38 mmHg. turns out to be pretty close to my actual level, what is the likelihood of it advancing? I am currently 41 y.o. Is it pretty much a foregone conclusion that it will keep rising as I age and eventually become a dangerous level or do some people live at levels like 38 mmHg. for many years with no significant advancing. I am assuming my level is elevated due to impaired relaxation of left ventricle. All measurements of heart size and everything else was normal on echo, except for a couple trace and mild regurgitations. I am curious too if it was overestimated due to my regular exercise. I do pretty intense strength training and cardiovascular training 7 days a week. I read something about IVC diameter being dilated in athletes. Also wondering if being athletic increases TRV max? My resting heart rate is in mid to upper 40’s, although I have been on lisinorpril for many years due to high-ish blood pressure from atrophic kidney. 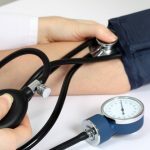 No BP is usually between 120-130 over 60’s. I know the feeling I went in last week for a stress echo and I stressed in more ways then one. All my results were normal except a mildly elevated pulmonary pressure reading of 38, yeah now I’m stressed. I was super anxious even for the resting component of the test my HR was 105 (lol). Doctor as Kevin has asked can being extremly anxious during a test raise the pressure levels ? I understand the echo is not a definitive answer (+/-10-20) but like everyone else says PH prognosis is bleak. I would not stress to that degree, your prognosis with that reading is certainly not bleak. I recently had an echocardiogram done due to having pvc’s. The echo suggested possible pulmonary hypertension with an RVSP of 38 mmHg. I saw a pulmonologist and he would like to do a repeat echo in about 5 more months. I was wondering if the estimated RVSP level of 38 mmHg. turns out to be pretty close to my actual level, what is the likelihood of it advancing? I am currently 41 y.o. Is it pretty much a foregone conclusion that it will keep rising as I age and eventually become a dangerous level or do some people live at levels like 38 mmHg. for many years with no significant advancing? I am assuming my level is elevated due to impaired relaxation of left ventricle. All measurements of heart size and everything else was normal on echo, except for a couple trace and mild regurgitations. I am curious too if it was overestimated due to my regular exercise. I do pretty intense strength training and cardiovascular training 7 days a week. I read something about IVC diameter being dilated in athletes. Also wondering if being athletic increases TRV max? My resting heart rate is in mid to upper 40’s, although I have been on lisinorpril for many years due to high-ish blood pressure from atrophic kidney. No BP is usually between 120-130 over 60’s. 1) Can you tell from the values posted at the bottom this message-how bad off my impairment of LV Diastolic filling appears? And is it reversible? I already exercise fairly intensely 7 days a week and eat a healthy diet. I also have an atrophic kidney and have been taking lisinopril for years to manage blood pressure. Creatinine level has been fine (around 1.0-1.05) BP averages around 120-130 over 60’s. Also, my resting heart rate is low (upper 40’s). 2) Do you think the low resting heart rate and wide pulse pressure could mean I have a blood volume overload? Thanks! Good morning I had a RHC yesterday, cardiologists said ‘it’s all ok, pressure was 26mmHg, within normal range’. From my reading 26mmHg is absolutely not ok and anything 25> is PH/PAH. Am I missing something here, are there other measurements he has taken to rule out PAH/PH ? Sorry I am not sure if my 26mm Hg is pulmonary artery systolic pressure or a pulmonary artery mean pressure. I best check as there is a difference. It may be the peak pressure is 26, this is not in general felt to be an issue.